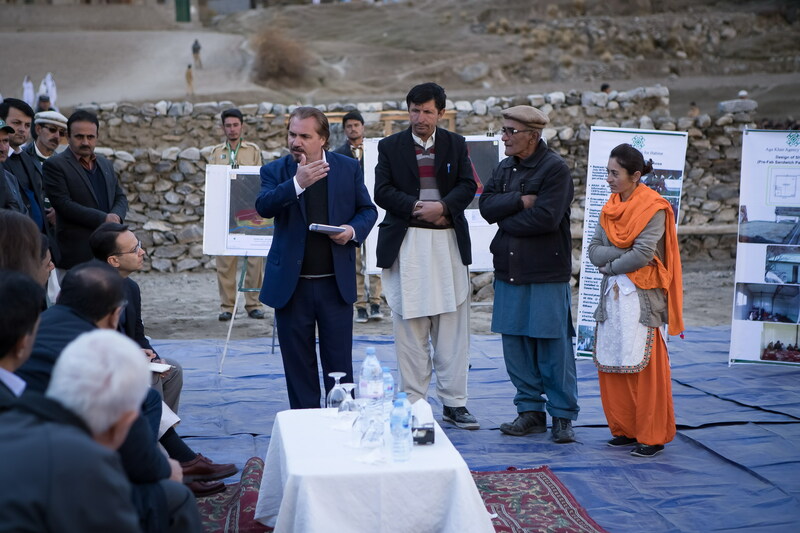 Prince Rahim and Princess Salwa Aga Khan receive a briefing from community leaders and management of the Aga Khan Agency for Habitat (AKAH) on community-based mitigation work undertaken at a disaster-affected site in the village of Darkut, Silgan Valley, Ghizer District, in Gilgit-Baltistan. The village of Darkut is vulnerable to natural hazards including flash floods and rock falls which can destroy houses, farmland and other infrastructure. Prince Rahim and Princess Salwa Aga Khan receive a briefing from community leaders and management of the Aga Khan Agency for Habitat (AKAH) on community-based mitigation work undertaken at a disaster-affected site in the village of Darkut, Silgan Valley, Ghizer District, in Gilgit-Baltistan. A stone wall to mitigate the impact of flash flooding, constructed by the community, is visible towards the left of the image. 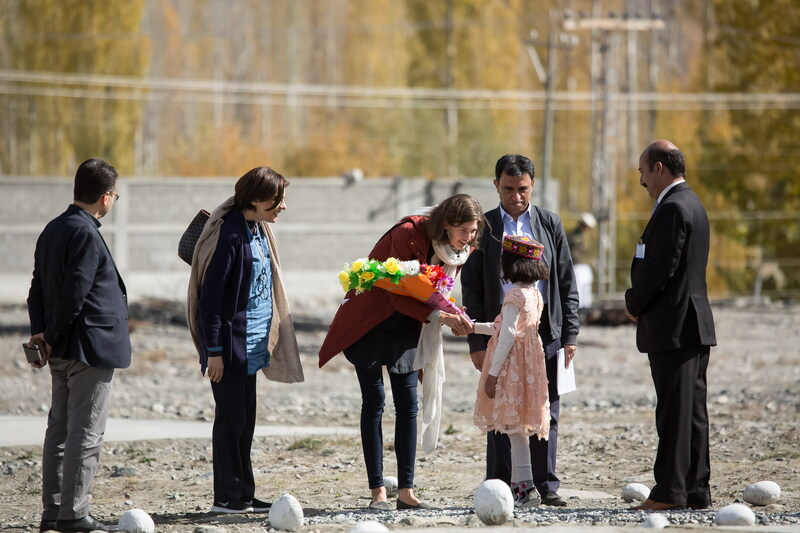 Prince Rahim and Princess Salwa Aga Khan entering the Diamond Jubilee School in the village of Darkut, Silgan Valley, Ghizer District, in Gilgit-Baltistan. The school is operated by the Aga Khan Education Services (AKES). Prince Rahim and Princess Salwa Aga Khan with students and teachers at the Diamond Jubilee School in the village of Darkut, Silgan Valley, Ghizer District, in Gilgit-Baltistan. The school is operated by the Aga Khan Education Services (AKES). Prince Rahim Aga Khan with students and teachers at the Diamond Jubilee School in the village of Darkut, Silgan Valley, Ghizer District, in Gilgit-Baltistan. The school is operated by the Aga Khan Education Services (AKES). 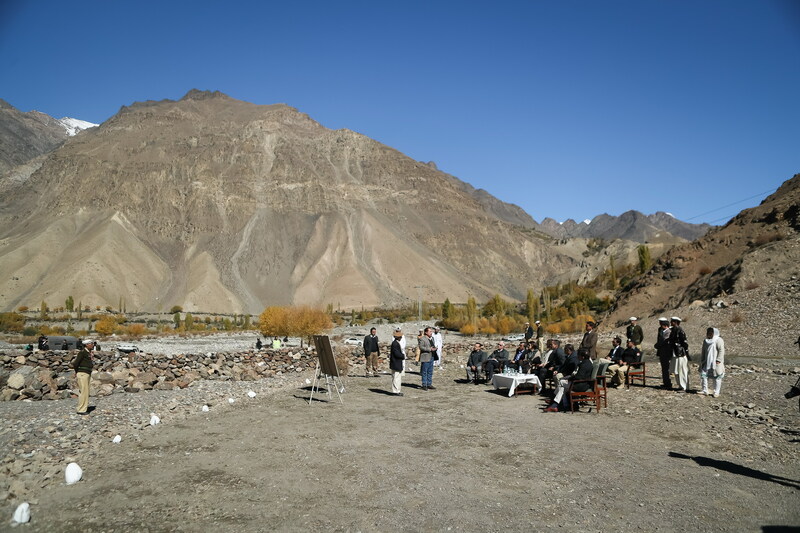 Princess Salwa Aga Khan with members of the local Village and Women’s Organisations (V/WOs) at the Ahmedabad community-based Hydro Power Project located in the village of Ahmedabad, on the banks of the Hunza River in the valley of Central Hunza. The Aga Khan Rural Support Programme (AKRSP), together with other partners, has provided financial and technical assistance to the project. 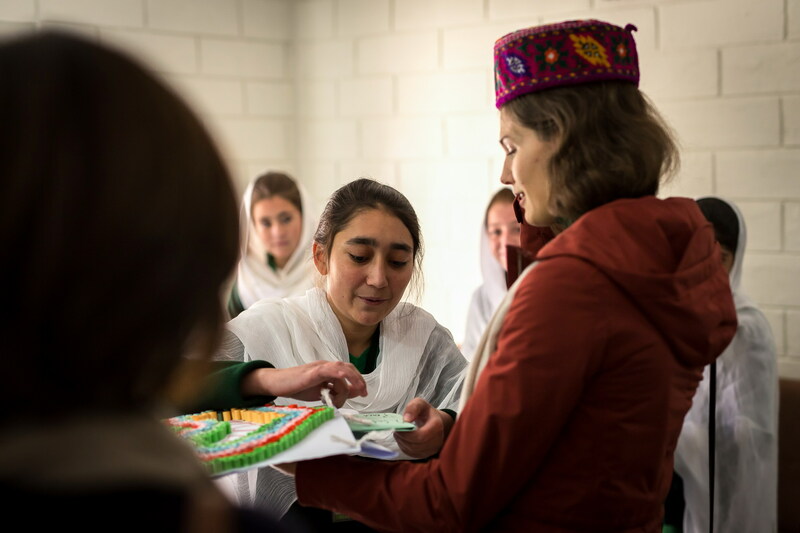 Princess Salwa Aga Khan presented with a card made by students at the Aga Khan Girls Hostel in the village of Booni, Chitral District in Khyber-Pakhtunkhwa. The hostel provides accommodation for female students from remote villages. 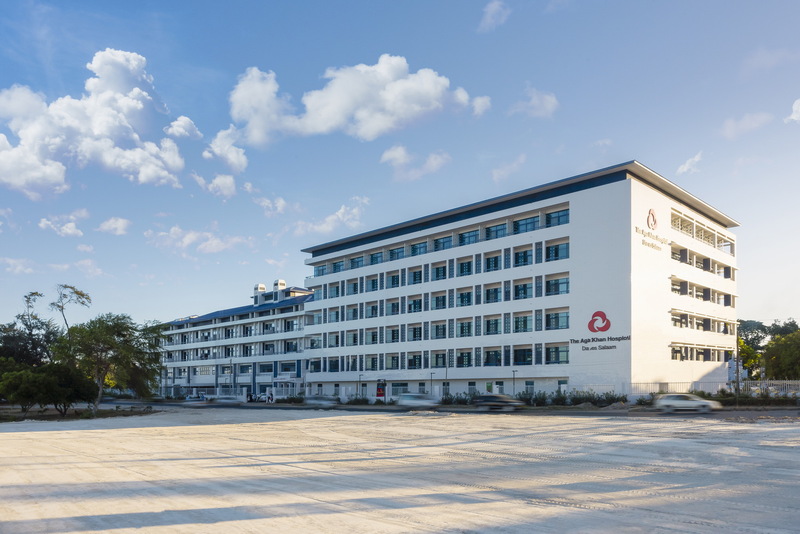 During their stay in Booni, Prince Rahim and Princess Salwa also visited the Aga Khan Medical Centre Booni which is operated by the Aga Khan Health Services (AKHS). Prince Rahim and Princess Salwa Aga Khan visit transitional shelters being constructed by the Aga Khan Agency for Habitat (AKAH) in the aftermath of heavy flooding which submerged farmland and destroyed houses in the villages of Badswat and Bilhanz, located in Immit, Ishkoman Valley, Ghizer District in Gilgit-Baltistan. In July 2018, unusually warm weather precipitated intensified melting of snow and glaciers which resulted in a large glacial lake outburst flood (GLOF). 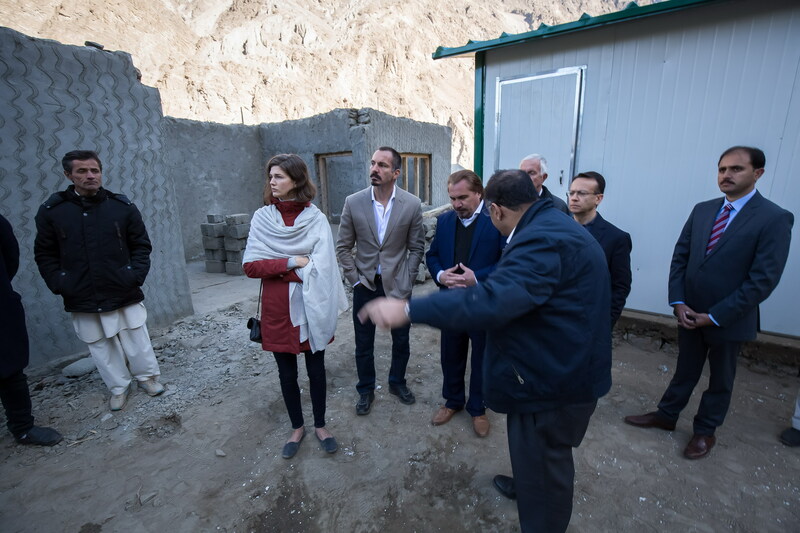 Prince Rahim and Princess Salwa Aga Khan receive a briefing from community leaders and management of the Aga Khan Agency for Habitat (AKAH) in the village of Bilhanz located in Immit, Ishkoman Valley, Ghizer District in Gilgit-Baltistan. In July 2018, unusually warm weather precipitated intensified melting of snow and glaciers which resulted in a large glacial lake outburst flood (GLOF) which submerged farmland and destroyed houses in Badswat and Bilhanz villages. 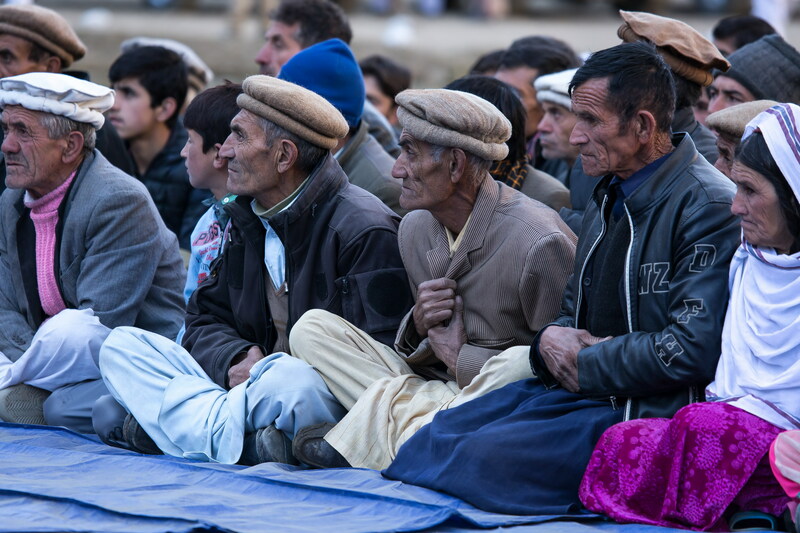 Residents of the village of Bilhanz – located in Immit, Ishkoman Valley, Ghizer District in Gilgit-Baltistan – meet with Prince Rahim and Princess Salwa Aga Khan. In July 2018, unusually warm weather precipitated intensified melting of snow and glaciers which resulted in a large glacial lake outburst flood (GLOF) that submerged farmland and destroyed houses in Badswat and Bilhanz villages. 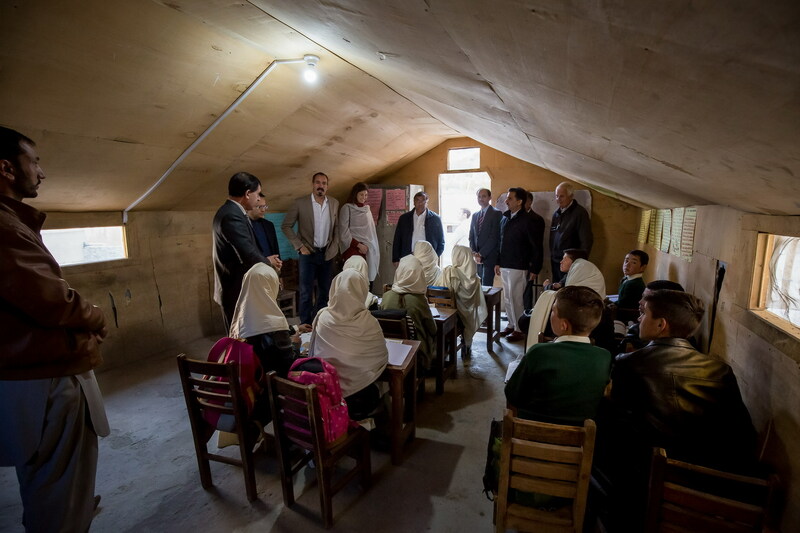 Prince Rahim and Princess Salwa Aga Khan with students and teachers in a classroom at the community-managed middle and secondary school in the village of Bilhanz located in Immit, Ishkoman Valley, Ghizer District in Gilgit-Baltistan. Prince Rahim and Princess Salwa also visited the adjacent Diamond Jubilee Primary School Bilhanz, which is operated by the Aga Khan Education Services (AKES). Prince Rahim Aga Khan visiting the Diamond Jubilee Primary School Bilhanz, operated by the Aga Khan Education Services (AKES), and the adjacent community-managed middle and secondary school in the village of Bilhanz located in Immit, Ishkoman Valley, Ghizer District in Gilgit-Baltistan. Prince Rahim Aga Khan bids farewell to students and teachers of the Diamond Jubilee Primary School Bilhanz, operated by the Aga Khan Education Services (AKES), and the adjacent community-managed middle and secondary school in the village of Bilhanz located in Immit, Ishkoman Valley, Ghizer District in Gilgit-Baltistan. Princess Salwa Aga Khan being presented with flowers upon arrival in Gahkuch, Punial Valley, Ghizer District in Gilgit-Baltistan. During their stay in Gahkuch, Prince Rahim and Princess Salwa visited the Aga Khan Higher Secondary School Gahkuch, which is operated by the Aga Khan Education Services (AKES). Prince Rahim and Princess Salwa Aga Khan arrive in Gahkuch, Punial Valley, Ghizer District in Gilgit-Baltistan. During their stay in Gahkuch, Prince Rahim and Princess Salwa visited the Aga Khan Higher Secondary School Gahkuch, which is operated by the Aga Khan Education Services (AKES). Prince Rahim Aga Khan with students and management at the Aga Khan Higher Secondary School Gahkuch located in Punial Valley, Ghizer District in Gilgit-Baltistan. Princess Salwa Aga Khan with students at the Aga Khan Higher Secondary School Gahkuch located in Punial Valley, Ghizer District in Gilgit-Baltistan. The school is operated by the Aga Khan Education Services (AKES). Prince Rahim and Princess Salwa Aga Khan with students at the Aga Khan Higher Secondary School Gahkuch located in Punial Valley, Ghizer District in Gilgit-Baltistan. The school is operated by the Aga Khan Education Services (AKES). 29 November 2018 - Prince Rahim and Princess Salwa Aga Khan travelled to Pakistan for a six-day working visit in late October 2018, which included stops in several districts of Gilgit-Baltistan as well as in Chitral district of Khyber-Pakhtunkhwa, along with the capital city of Islamabad and the southern city of Karachi. 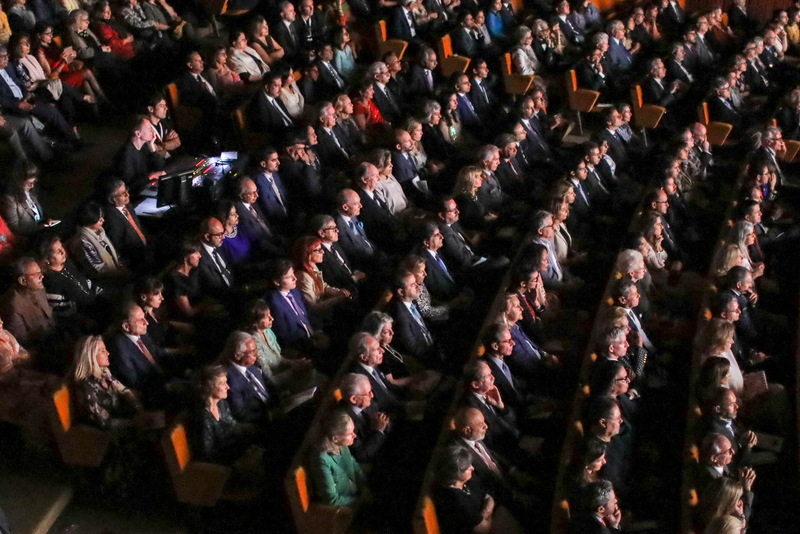 During their visit, Prince Rahim and Princess Salwa examined approaches to poverty alleviation and development, and visited a number of AKDN institutions and projects aimed at improving quality of life.